The site has been an amazing success since the launch in June this year. We’ve had over 1000 visitors from all over the world to the site since it started. Thank you to everyone who has supported the site since day one and I hope that you have found it a really useful place for getting lesson ideas, resources and a place that makes you think. I’m really enjoying developing the site and continuing sharing everything I find with you all. If you would like to continue to receive email updates from the new site please enter you email address in the subscription box on the right hand side in the new site. I really hope you like the look of the newly revamped Great Maths Teaching Ideas website and I look forward to continuing sharing the ideas and resources with you all in the future! There is a linear relationship between air temperature and the number of times a cricket ‘chirps’ per minute. What an interesting idea for a lesson on plotting straight line graphs! After putting across the idea of the relationship, and motivating the pupils by explaining how the next time they are out and about in the countryside and want to know what the temperature is they can work it out by listening to crickets, give them this worksheet which gets them plotting the linear relationship between degrees fahrenheit and chirps per minute. The worksheet is quite scaffolded and I took some artistic (mathematician’s) license to adjust the coefficients of the equation so that it was more appropriate for secondary school pupils to work with. After working out their table of values and plotting the straight line graph they are given questions that assess their ability to interpret the graph. If degrees Fahrenheit means nothing to you (because like me, you are English) then you can move the lesson on by giving the pupils this worksheet that gets them plotting the degrees Fahrenheit to degrees Celcius temperature conversion chart. Note the slight increase in pitch with the decimal number coefficient and the negative axes. There are some more interpretation questions to follow once they have completed plotting the graph. A really nice plenary to this lesson is to get a pupil up at the front and get them to do cricket chirping noises with the rest of the class counting how many they made in a minute. The class then have to use the graphs they have plotted to work out the ‘temperature’ in both degrees Fahrenheit and Celcius. How many times have you marked a GCSE paper which is a two-pointer where the question asks “find the size of angle x” and then “explain how you worked this out” to find that the pupil got the size of the angle correct but wrote an explanation that didn’t get the second mark? You kind of knew what they meant in their explanation, but the mark scheme was looking for “interior angles in parallel lines are supplementary” rather than “the angles next to the lines add up to 180”. Here’s a very simple worksheet that I made to teach a lesson on using the correct language to describe angle facts. The idea is that you run through them with the pupils filling in the explanations on the worksheet which they can then use as a reference sheet when attempting questions later in the lesson. 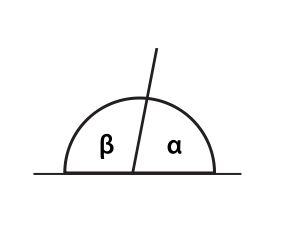 I found a great way to start this lesson off is to ask the pupils to solve a typical angle fact question with an explanation of how they worked out the angle. The plenary is then exactly the same question followed by them comparing their answer at the end of the lesson with the answer they wrote in the starter to see how much they learned during the lesson. I’ve found getting some pupils to understand the concept of equality to be surprisingly difficult. The problem seems to limit pupils’ ability in many other topics such as equivalent fractions, solving equations and changing the subject of a formula. I stumbled upon an article the other day that gave me some insight into why pupils struggle with it. When you do a calculation on a calculator, what button do you press to get the answer? The equals button. 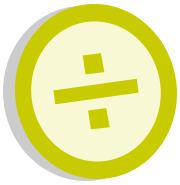 The article argued that kids think of the equals sign as an operator. Kids see the equals sign as something you press to get an answer. Enlightened with this possible explanation for kids’ misconceptions, by fortune I then came across an interesting blog post by the excellent Keeping Mathematics Simple blog called “How to teach the properties of equality through problems solving“. The author puts forward a way of teaching the topic of solving linear equations. Her method, of focussing on developing the concept of equality first, before moving on to solving the equations later is logical and well thought through, ensuring there is no misconception about the properties of equality before teaching how to solve the equations. When teaching solving linear equations (or similar) in the future I think I’ll experiment first with giving them something like 2x = 10 and ask them to come up with 5 equations based manipulating the first one (do the same to both sides etc…) e.g. 4x = 20, 2x + 2 = 12 and so on. They could produce a spider diagram with the starting equation in the middle and alternatives off on legs. Once they solve for x they can then subsitute it back into all of their equations and they’ll see that the statements of equality still hold true. Hopefully this will help develop an understanding of the properties of equality which is so important if their learning of solving equations is going to be anything less than procedural. If you’ve just taught SSS, ASA and SAS triangle constructions and you are looking for a consolidation activity, checkout this ‘draw me a rocket’ compound construction activity. As far as rockets go it’s quite basic but if they get it done first I’m sure they could add some modifications! Ever been teaching collecting like terms (simplifying) and just needed 20 questions you could put up on your interactive white board to set the pupils off on? Looking for the questions to be differentiated according to ability and for the answers to be on the next slide? If so, check out this pdf slideshow! Instead of a list of questions, how about giving the pupils a ‘collecting like terms pyramid’ to climb! The worksheets work in the conventional manner where the bricks above are made by collecting the like terms from the two below. The worksheets are differentiated as easy and a bit harder. Alternatively, just looking for a conventional worksheet, but one that has lots of scaffolding with worked examples and an explanation of the process? If so then check out this worksheet! Hope you find these resources handy! There are some really great blogs out there written by maths teachers who really care about their practice. I enjoy reading their posts as they share their insight and ideas and think about how it could improve my own teaching. Why do we set homeworks? What is the point of homework? What are we trying to achieve by setting the kids homework? Consolidation and practice of what was learnt in class? Promoting self-study skills and independent thought? Learning of new concepts? I’d like to think we set homework for all these reasons. It is well known that getting the kids doing homework improves their attainment in maths. Colleagues I have discussed the topic of homework with have commented that they find that lagging the topic of the homework approximately one week behind when the topic was studied in class leads to better attainment. This is perhaps unsurprising as it promotes the revisiting of previous learning to secure long-term memory retention. 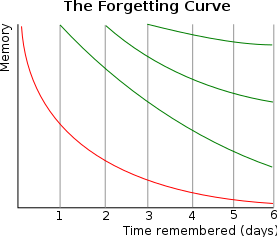 If you haven’t seen the Ebbinghaus Forgetting Curve before then you really must look at it now! It doesn’t tell a good teacher anything new or surprising, but does answer the question that perpetuates through every staff room: “why can’t the kids remember what they learned last week?”. Revisiting concepts is the key to long-term memory rentention. Repetition, repetition, repetition. We use the brilliant MyMaths software for some of our homeworks. Student voice surveys we have conducted suggest that on the whole, pupils enjoy doing the online homeworks more than conventional book-based ones. This isn’t surprising since most modern pupils feel more comfortable infront of a computer than a textbook. The big bug-bare we have as teachers about the online MyMaths homeworks is that the kids type their answers into the software and don’t have to record their workings. As teachers we are more interested in their route taken to the solution rather than the final destination itself as this shows up misconceptions in understanding. 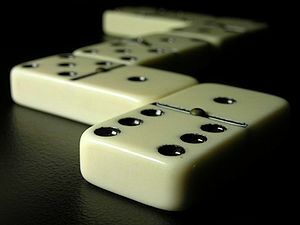 There are some excellent resources on the TES website and Properties of Quadrilaterals Dominoes is one of them. Not much explanation needed; just match the shapes to their names and properties in a game of dominoes… The resource was created and published by the www.notjustsums.com website. First of all let me say a HUGE thanks to everyone who has been following this website in the short two weeks that it has been running. As of today we have had 179 different visitors to the site from 14 different countries including 1 visitor from Brunei! People have been downloading the resources non-stop. In the first fortnight it seems as though the site is already helping maths teachers improve their practice and save time by sharing ideas and resources which was the mission from the start. To build on the great early success of the site I’ve introduced a new topic of blog posts called ‘Pedagogy’. You’ll see it in the menu at the top of the page. 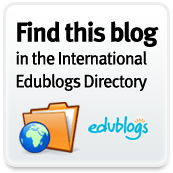 The idea is to blog about pedagogy: the method and practice of teaching sharing things that I have learned, experimented with or good practice other people have written about. Will it be subjective? Of course. Will I change my mind about things as I become more experienced? Undoubtedly. Is it still worth blogging about? Definitely because healthy debate and reflection is always a good thing, for beginners just as much as for experienced pros. This area of the blog will be much more interesting if people get involved in the debate, sharing their thoughts and experiences. You can do this by simply submiting them in the ‘comments’ section at the end of blog posts. Let me know what you think of my first pedagogy blog post Going through the praise withdrawal. Thanks again and I hope you keep finding the site useful and thought-provoking. Is giving lots of praise counter-productive? This video is taken from the iTunes Visualiser called Jelly that makes pretty patterns that react in real time to the music that is playing. The patterns produced show rotational symmetry and could be used as an excellent resource in a starter or plenary on the topic. Download this video in 3GP format here. Download this video in FLV format here. Download this video in MP4 format here. 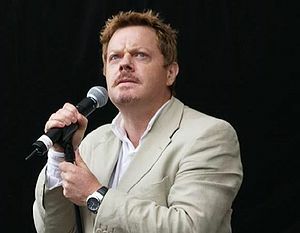 In 2009, comedian Eddie Izzard ran 43 marathons in 51 days around the UK. He endured blisters, losing a toenail and damaging an ankle ligament. He also had daily ice baths which, in his own words, were “to stop your legs inflating to the size of an elephant”! After running over 1100 miles he returned to Trafalgar Square on 15th September 2010. Further to our post “Symmetry the fun way: B-boy dancing“, Mr Williams suggested a great idea of using synchronised swimming as inspiration for a lesson about rotational symmetry. There is an excellent routine at about 2 mins into the video which has some fantastic rotational symmetry in it. 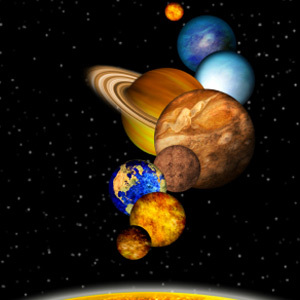 You could freeze frame the video here and use it to demonstrate the concept. 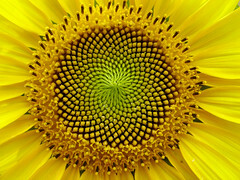 There are endless possibilities you could go on with from here: could they design their own synchronised swimming pattern/ routine and draw it or act it out on land, get them in the pool for a cross-curricular link if you have one or could they do some research for a homework to find as many pictures showing rotational symmetry in sports and other applications as they can? Great fun.